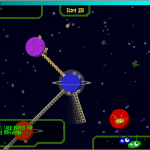 Save the endangered aliens from certain doom! 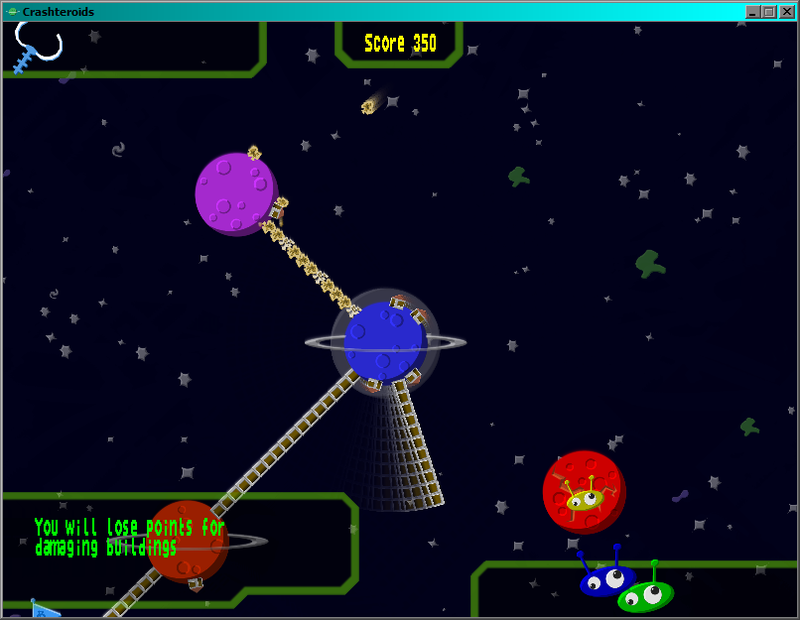 Build bridges between alien worlds and escape to a safer place. 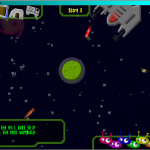 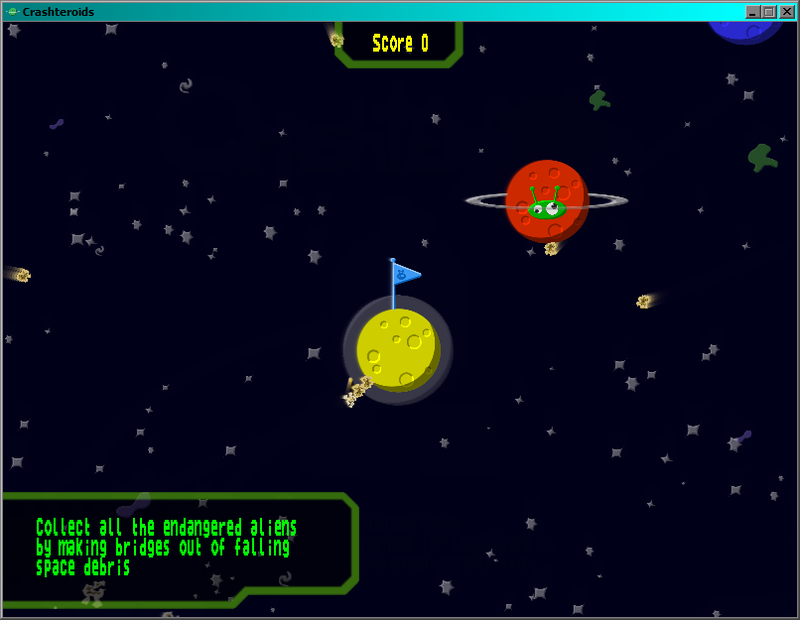 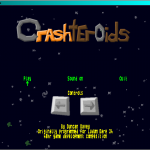 Crashteroids is a game made in less than 48 hours for Ludum Dare 34 game creation competition. 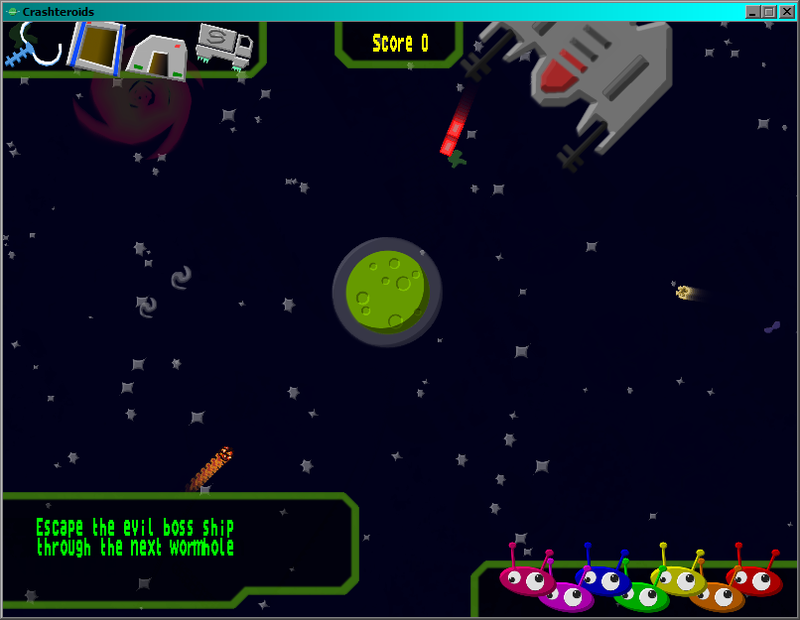 It has been cleaned up and been made available here. 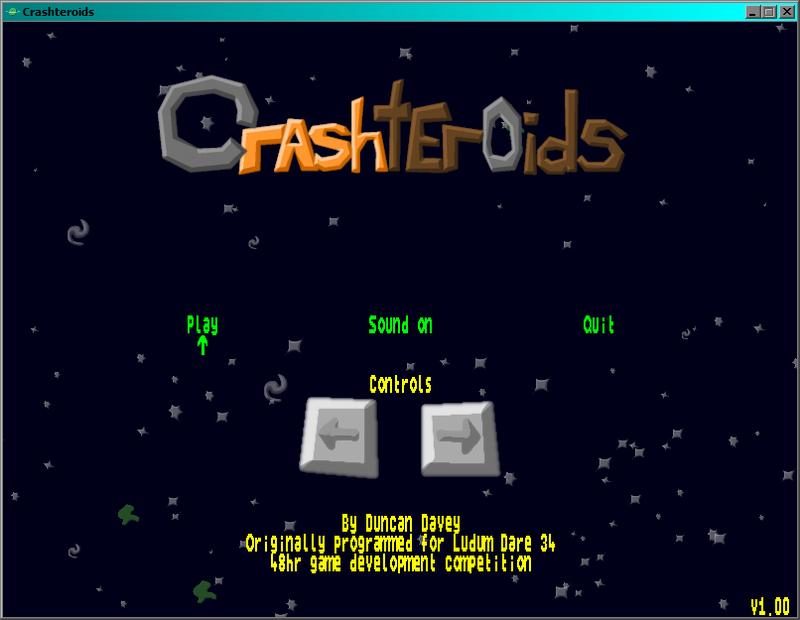 Crashteroids was also immediately ported to DarkBASIC Professional from it’s original Java code to ensure easier access. 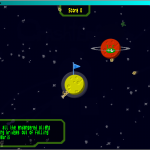 It was then ported to Android shortly after so everyone can build inter-planetary bridges with ease!